That was certainly the case for three servicemen from Leeds who went far beyond the call of duty to save the lives of their comrades during battle. Because of their extraordinary actions, these ordinary men, PFC Alford McLaughlin, First Lt. William Lawley and Staff Sgt. 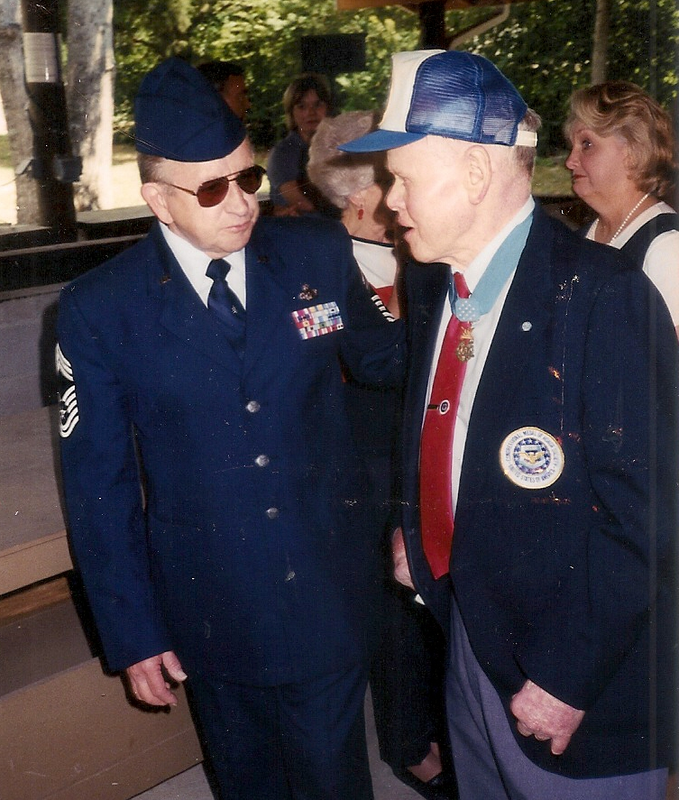 Henry “Red” Erwin, each received America’s highest tribute, the Medal of Honor, and have become Leeds’ most celebrated heroes. The Medal of Honor, established during the Civil War, is the highest and most prestigious U.S. military decoration presented to members of the Armed Forces who have distinguished themselves while serving their country. Since its inception, the Medal of Honor has been awarded to 3,516 men and one woman. Leeds museum honors Medal of Honor winners, other heroes from Alabama NewsCenter on Vimeo. The Medal of Honor was presented to McLaughlin for bravely defending a combat outpost in Korea against the enemy during a nighttime attack in 1952. McLaughlin aimed a barrage of devastating fire at the enemy using two machine guns, a carbine and hand grenades. With his hands blistered from the extreme heat of the weapons, McLaughlin continued to spray the area with gunfire, while standing in full view of the enemy and shouting encouragement to his comrades. He alone was responsible for about 150 enemy deaths and 50 wounded, and helped prevent his outpost from falling into the hands of hostile forces. McLaughlin was promoted to sergeant before retiring from the Marine Corps in 1967 and died 10 years later. His medal is on display at the Jonathan Bass House, a museum operated by the Leeds Historical Society. Leeds takes its war heroes seriously. 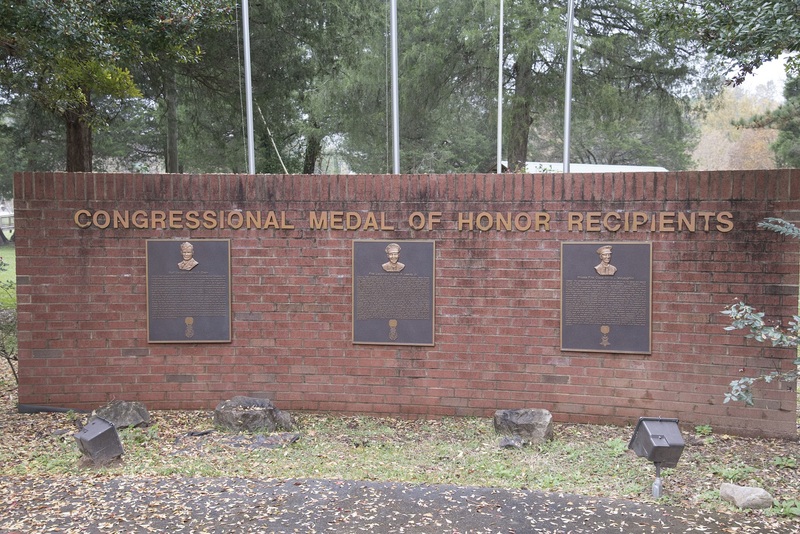 A wall at Leeds Historical Park honors the city’s three Medal of Honor winners. A pilot in the Air Force, Lawley received the medal for saving the lives of his crew by flying his crippled B17 airplane over continental Europe in the face of heavy enemy fire during World War II. On Feb. 20, 1944, his plane was shot out of formation, making the aircraft easy prey for the German fighters. The controls were shot away, an engine was set ablaze and the co-pilot was killed. Although Lawley gave orders to bail out, it was impossible for two of the crew members because their injuries were too severe. Lawley, whose face, hands and neck were badly injured, decided to attempt the grueling five-hour return flight to England. Using only his left hand, Lawley pulled the co-pilot’s body off the controls, brought the plane out of a steep nosedive and safely flew his crew to home base. Lawley remained in the Air Force, retiring as a colonel in 1972. He died in 1999. 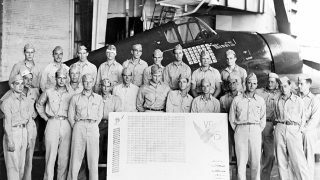 Leeds’ other Medal of Honor recipient was another World War II hero, Henry “Red” Erwin, a radio operator with the 52nd Bombardment Squadron. Erwin was aboard a B29 airplane headed to attack a Japanese outpost on April 12, 1945, when he was severely burned by a phosphorus smoke bomb that prematurely exploded inside the cabin of the aircraft. Smoke from the explosion blinded Erwin and destroyed his nose. Realizing the plane and its crew would be lost if the burning bomb remained inside, he picked it up and crawled blindly toward the cockpit. Then, finding his way blocked by the navigator’s table, Erwin struggled to move it, while still cradling the burning canister between his body and forearm. While completely aflame, he tossed the bomb out the co-pilot’s window, saving his comrades’ lives. Because it was thought he would not survive, Erwin’s Medal of Honor was quickly flown to Guam and presented to him. But thanks to many reconstructive surgeries, he overcame his injuries. Erwin moved to Leeds after the war and worked for 37 years as a benefits counselor at the Veterans Hospital in Birmingham. Leeds has continued to remember and honor these three brave men, along with the city’s many other veterans who have fought for their country’s freedom. A portion of Alabama Highway 119 in Leeds has been named the Erwin, McLaughlin, Lawley Medal of Honor Highway. Additionally, Leeds Historical Park, which is on that stretch of highway, commemorates the Medal of Honor recipients with three monuments bearing bronze plaques inscribed with their citations. 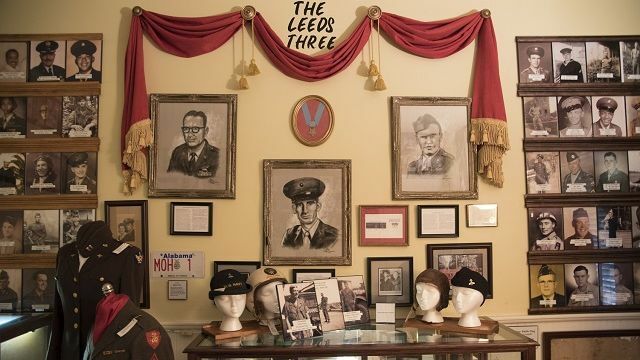 The Bass House Museum pays homage to all Leeds veterans in its military room. While large photos of McLaughlin, Erwin and Lawley take center stage on one wall of the room, the other three walls are covered with about 200 photos of Leeds soldiers who represent every conflict since the Civil War. Many medals, flags, uniforms and manuscripts owned by Leeds veterans are also on display in the room. Little, who served as a crew chief and door gunner in the 281st Assault Helicopter Company in Vietnam, said he is proud to have a part in recognizing the Medal of Honor recipients as well as other Leeds veterans. Bessemer native David McCampbell won the Medal of Honor during WWII. 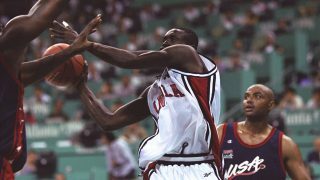 After tearing a tendon in his left leg, Barley declared his basketball career over. 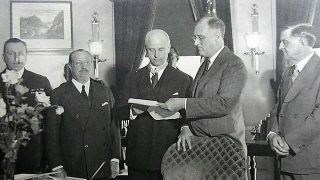 The Greensboro native was awarded the Congressional Medal of Honor.